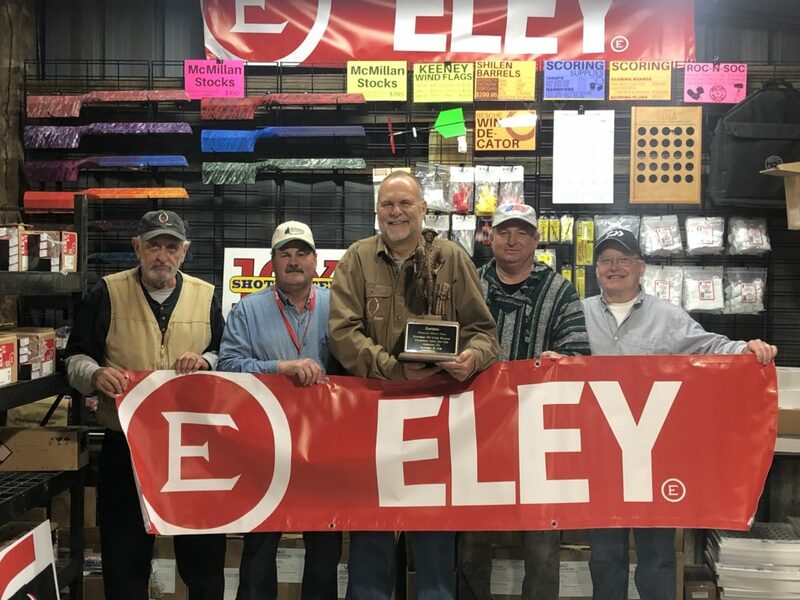 Greg Monroe dominated the PSL Shotmaster 10X held at Chickenfoot range in Georgia winning three of the five targets including a 2400 16X on Creedmoor Sports Target 1, a record 2500 15X shot on Chickenfoot Target 2, and a 2450 18X on Precision Quest Products Target 4. Greg’s total for the indoor PSL match was a record high of 12100 with 80 X’s and an average score of2420 over 5 cards. Tim Longcore finished in second place with a total of 11950 and winning Triple Crown target 3 with a 2450 18X. RimfireAccuracy.com Target 5 was won with a 2450 15X shot by Frank Karwowski. Bob Cleveland’s total score of 11800 put him in 3rd place. Tom Wilkinson finished in fourth with a combined 5 card score of 11625. Finishing in fifth place with a total score of 11450 was Bill Casey. Eighty-one competitors made the trek to Cedartown, Georgia, for the first big match at the newly constructed Chickenfoot Indoor range. Click here for the complete listing of results.